Ah, the good old 1990s. For better or for worse the decade's fashion trends have made a comeback, filling the streets with crop-tops, flannel, and denim galore, but what about its home decor? 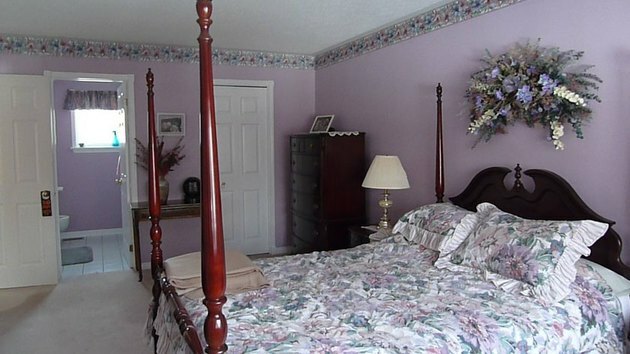 If you're trying to bring to mind a general image of '90s decor and coming up blank, it's understandable. Characteristic of the decade, decor trends in the '90s were made up of a hodgepodge of elements from the decades preceding it, but we've assembled a few that are particularly "'90s." 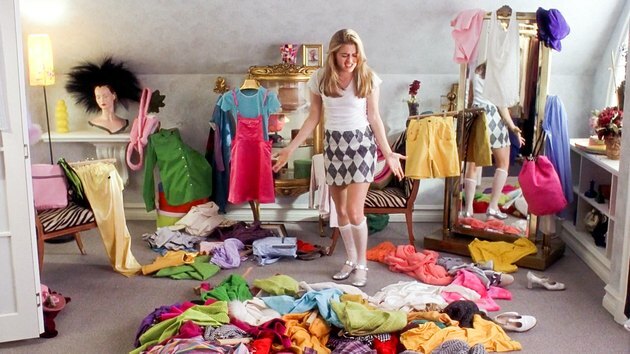 Dig out your Discman, pump some Jock Jams, and get in touch with your inner Cher from Clueless while you check out these 12 decor trends that you totally forgot about. When the 1990s' minimalist movement reached interior design, homes started incorporating elements of Chinese and Japanese decor inspired by the zen aesthetic. More often than not, this look featured folding (or sliding) screens of some kind. Whether they were made in the Chinese style, from lacquered wooden panels adorned with decorative paintings, or in the Japanese style, from translucent paper with a wooden lattice overlay, both were (and are) easy and inexpensive room divider ideas. DIY project anyone? The 1990s shabby chic decor trend that sent everyone trolling for thrift-store treasures ironically coincided with the zen minimalist decor trend. The zen design aesthetic included only what was needed, seeking to minimize our attachments to objects; whereas, the shabby chic was pretty much predicated on a systematic form of hoarding. 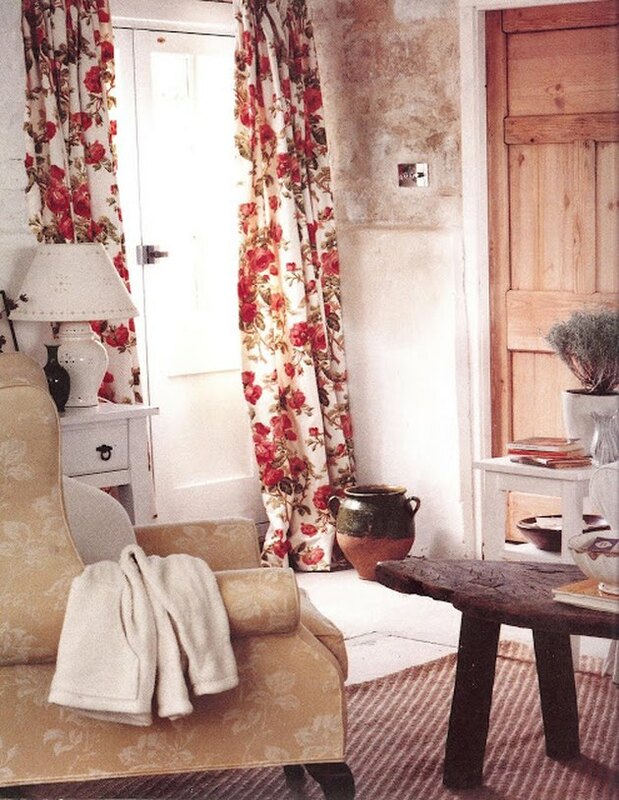 Want to blend English country style with French country style and then throw some decorative Southwestern plants and ceramics into the mix? Go for it! It's shabby chic. Though they primarily (get it?!) appeared in kids' bedrooms, the decor trend of bright, primary color accents extended throughout the 1990s. 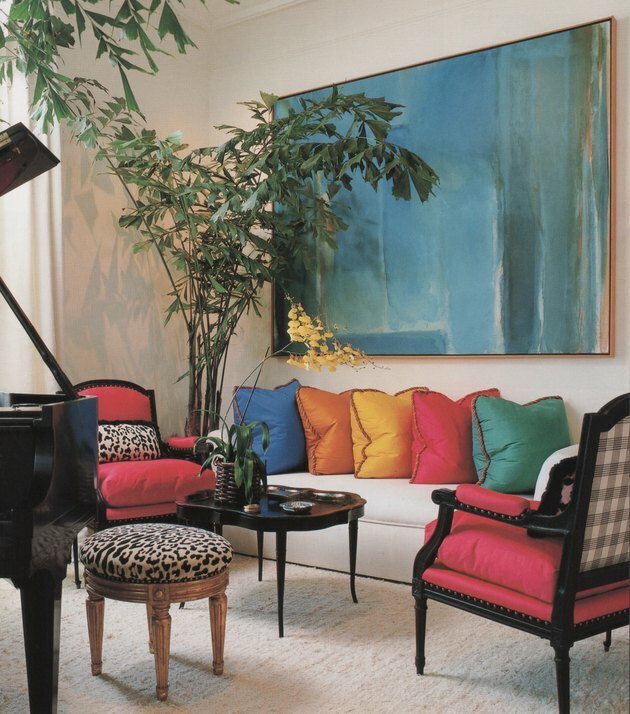 It was not uncommon to see a mini-rainbow of throw pillows paired with pattern-heavy upholstery (Note: The plaid pattern chair backs, along with a leopard print ottoman and decorative pillow). 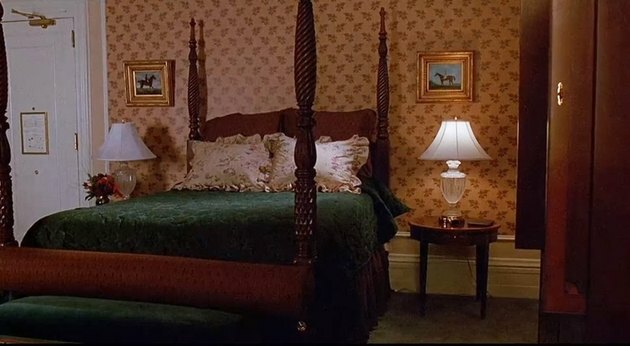 For lots of lucky kids the 1980s four poster bed trend held strong through the '90s as seen in this Plaza Hotel suite from Home Alone 2. The bedding set, complete with the ruffle-y pillow cases and bedskirt, paired with a floral pattern comforter, is enough to instantly transport you back in time. 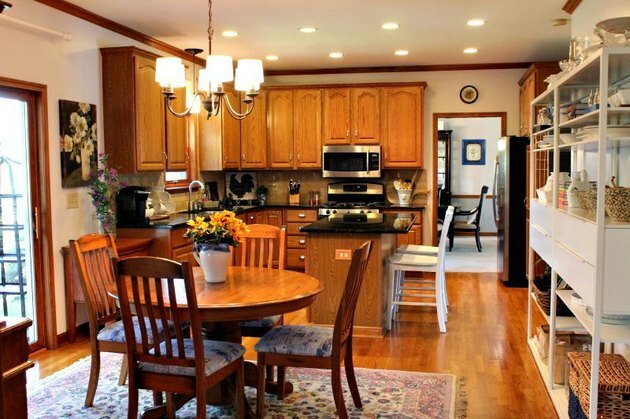 The 'country kitchen' look that hit incredibly hard during the 1990s was a far cry from today's charmingly modern farmhouse kitchens. In hindsight, the unchecked mixture of oak cabinets, multiple real and/or artificial fruit and floral arrangements (plus walls covered with decorative dishes) not to mention the farmhouse animal statuettes or artwork, feels like an assault to the eyes. However, in the '90s, it was just your typical kitchen. 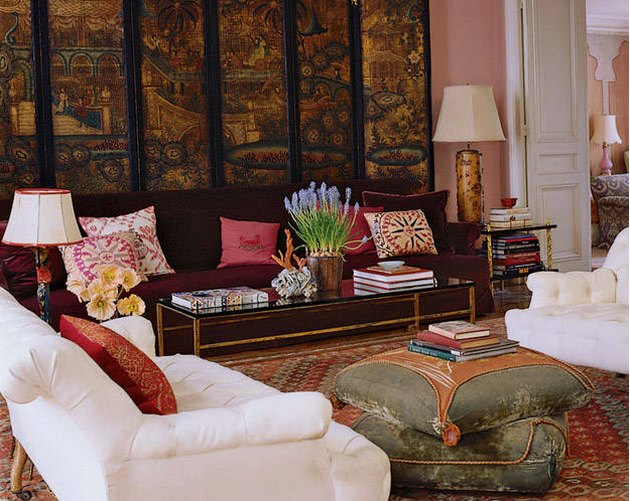 Here's a '90s decor trend your memory has probably repressed: decorative 'faux' painting. Different 'faux' styles appeared regularly in kitchens, bedrooms, living rooms, and even bathrooms. 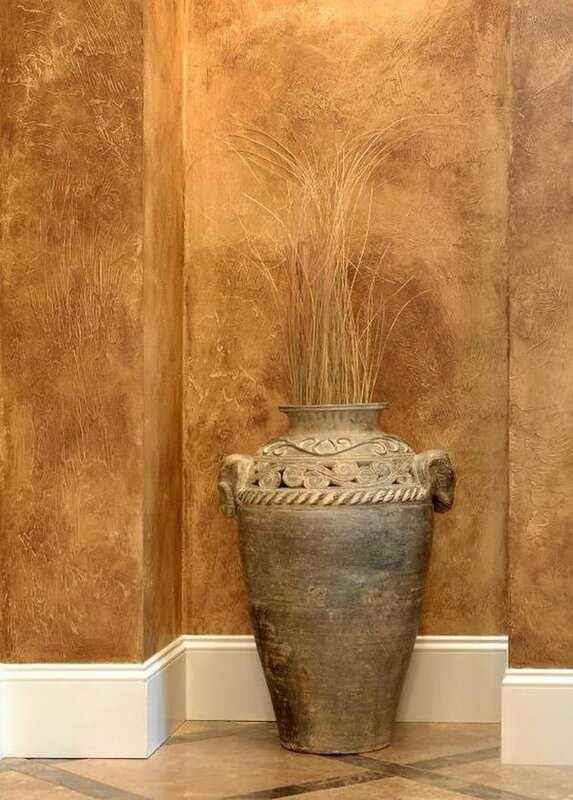 The style pictured above is known as suede faux painting, and it creates a paint finish that's particularly adept at hiding wall imperfections. Russet-tinged orange and yellow paints were color wash favorites in the '90s. Wall borders, particularly those depicting vines and floral motifs, made frequent appearances in '90s home decor. Trellis-like vine designs were popular in kitchens, while floral motifs often bordered bedroom walls. Some borders were adhesives applied like wallpaper, but stenciling was also a big home decor hit. The art of artificial indoor gardening began in the '90s. These dust-able delights brought the beauty of nature's greenery inside without the hassle of actually having to take care of anything. 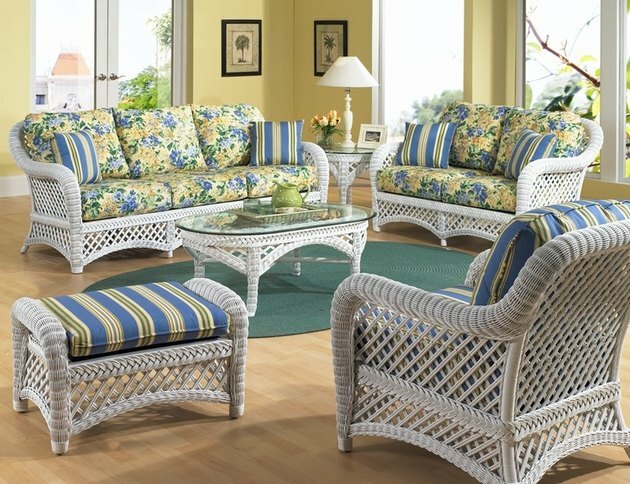 The popularity of wicker furniture is a home decor trend with origins in the '70s and '80s that soared to new heights in the 1990s. Rocking any trend during the '90s meant diving in headfirst — like placing a white wicker couch, coffee table, and set of dining chairs alongside a hunter-green wicker lounge chair in a single room. When it came to home decor, the 1990s said, "Go big, or go home," and the wicker-floral trend was no exception. 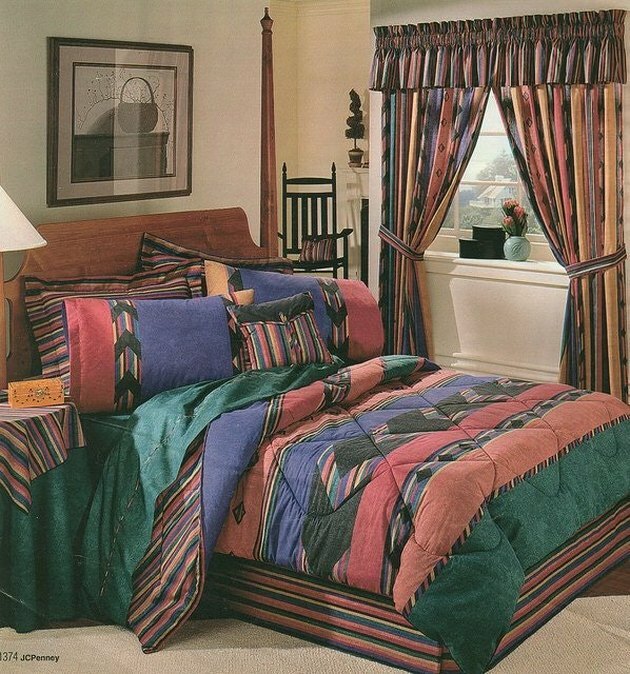 This oh-so-'90s bedding set looks like it was inspired by a Coogi sweater, is proof that this era had a love affair with patterns. The bed skirt, pillow shams, and underside of the comforter (it's reversible, of course) are patterned with multicolor stripes, and the design on the 'top' side of the comforter is, well, indescribable. Multi-colored patterns made of abstract, geometrically influenced textile designs were probably the most popular variety of the '90s. 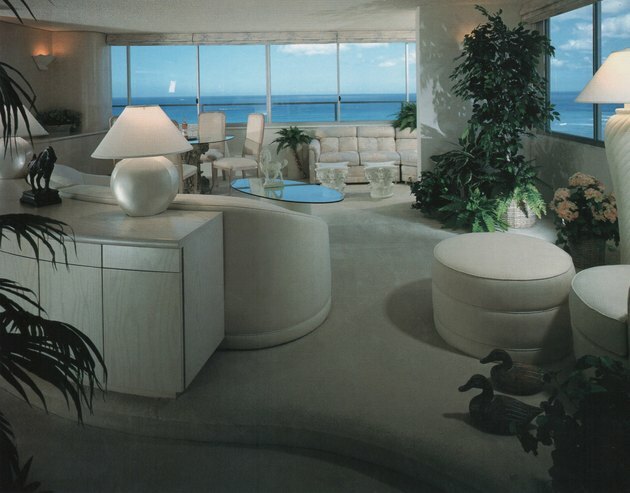 During the 1980s the 'resort decor' trend came on the scene sporting an ultra-light color scheme of barely-there peaches and pastel pinks. 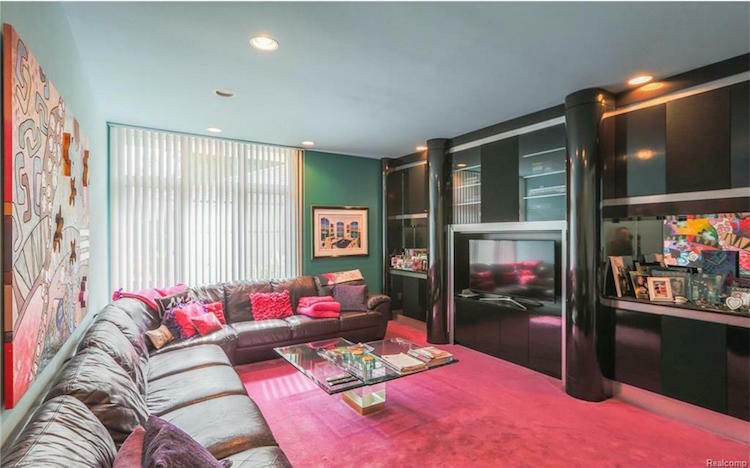 The 1990s took the decor trend and made it tropical, like this deep yet vibrant turquoise and magenta color pairing. Every '90s family room needed an open shelving unit with enough space to house the numerous (not to mention gargantuan) electronic devices that delivered music and entertainment to our homes in the days before flat screens and Netflix. 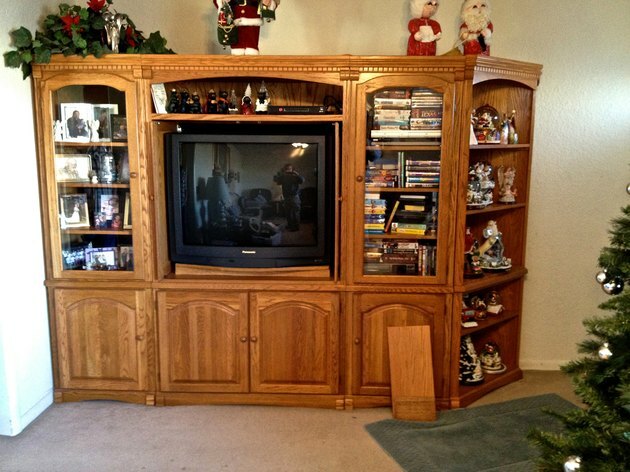 The deeper into the '90s we traveled, the more expansive these entertainment centers became, as we knocked out and replaced shelves and tacked on additional cabinetry to make more space for new technology.